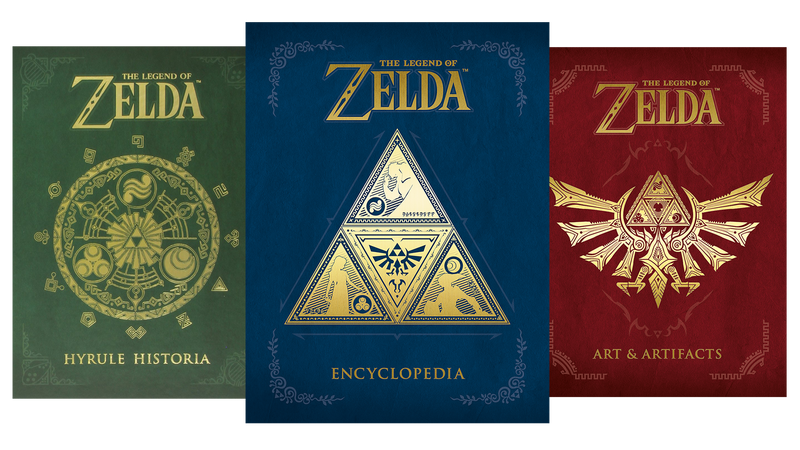 Nintendo’s partnership with publisher Dark Horse has already brought us two outstanding volumes, Hyrule Historia and Art & Artifacts. Next April the “Goddess Collection” gets its third and final volume in The Legend of Zelda Encyclopedia, a comprehensive guide to the series from the first game to Twilight Princess HD. The Legend of Zelda is a New York Times Bestseller. No, Really. Hyrule Historia and Art & Artifacts covered the history, art and culture of the first 30 years of The Legend of Zelda. The Legend of Zelda Encylopdia covers everything else. It’s a 320-page volume filled with explanations and descriptions of everything from items and potion to relationships between characters. It’s filled with maps, illustrations and screencaps. It’s even got an exclusive interview with series producer Eiji Aonuma. But most importantly, as any book lover and/or collector will tell you, it will look really, really good next to the other two books. To some, that alone is worth the $39.99 asking price. Which &apos;World-Famous Hollywood Actor&apos; Is Ocarina of Time&apos;s Link Based On? The Legend of Zelda Encyclopedia is due out April 2018 from Dark Horse Publishing. It can be preordered all sorts of places, if you’re into that sort of thing.